Due to confidentiality, the names in the story below have been changed, except for the inspirational teacher with whom consent to use her name was granted. Every year a new flock of students walk into each teacher’s classroom to pursue their education. What most don’t realize is that every single students also carries extra baggage through the door with them. I am not talking about the 3 bags of supplies that the overzealous moms get while School Supply shopping season is underway. I am referring to the unseen baggage of parental demands, parental divorce, homelessness, starvation, abuse, and so much more. It is the baggage that, while unseen, plays a significant role in the engagement of each child and the success they will have in the classroom. For Mrs. Randall, every student is assumed to have baggage, but this baggage is never to be used as an excuse. She is an exceptional and inspirational teacher whom I am proud to say was one of my partner teachers early in my career. Joe, one of her many students, walked into her third grade class just as the many others had before. Mrs. Randall’s reputation precedes her, so I expect that he walked in with a huge smile and full of excitement. Joe didn’t stand out as having problems at first glance, but as any great teacher knows, its whats under the exterior that counts. “First impressions are everything”, is a phrase many people believe, but not to a true teacher! As the year progressed, Mrs. Randall noticed that under the exterior, Joe had the potential to be a brilliant student. He would be caring and supportive to his classmates, and yet, he would struggle with the everyday responsibilities of his school day. Mrs. Randall learned that Joe was extremely street smart, mostly due to the fact that he had learned a lot about life on his own. You see, Joe came from a family that didn’t provide consistent support. Due to several factors, Joe’s parents were not always available, including incarceration at several times for the father. The pattern again continued when Mrs. Randall was asked to move up to teach 5th grade and Joe was placed in her care for a second time. Though it never seemed like enough, Mrs. Randall always cared for her students as if they were her own. Joe was no different from any other student, but at the same time, Mrs. Randall couldn’t help but worry just a bit more about the situation she knew Joe was in. Especially at the end of the year when he would be moving on to the Middle School across the street. Joe would not only have to deal with the issues that Middle School kids bring, but also with the move to foster homes which would continue for Joe and his sister till he turned 16. How could school be a priority for someone who needed to care for and protect his younger sister? And when she lost touch with him for those years, Mrs. Randall could only wonder and pray…. There was no contact until Mrs. Randall received an email from Joe just to reach out and say that he was now a freshman in High School. Then several years later she received another email from a now grown “Joe” asking her to review and edit a letter he needed to write to get into law school! Life in between emails had not gone well due to the foster homes, and he quit school. However, he had refocused, got his GED, and was, at 19, finishing college and trying to get into Seton Hall Law School! All on his own! His reasoning for becoming a lawyer was to help other children like himself and his sister from falling into abusive homes. Unfortunately, in the last few years, Joe has fallen in with a bad bunch of people and was actually in jail himself for a little while. He has since gotten out and is trying to get back on the right track. Mrs. Randall and Joe continue to keep in touch through the wonders of Facebook. In true teacher fashion, Mrs. Randall continues to be there for her students long after the classroom, and continues to encourage and support Joe for what he can accomplish. It is never about the mistakes students make, as we all make them- it’s about picking up the pieces and making a positive change! 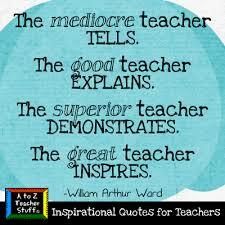 A true teacher influences Lives! Don’t forget to Follow, Like, and Share the message! Thanks!